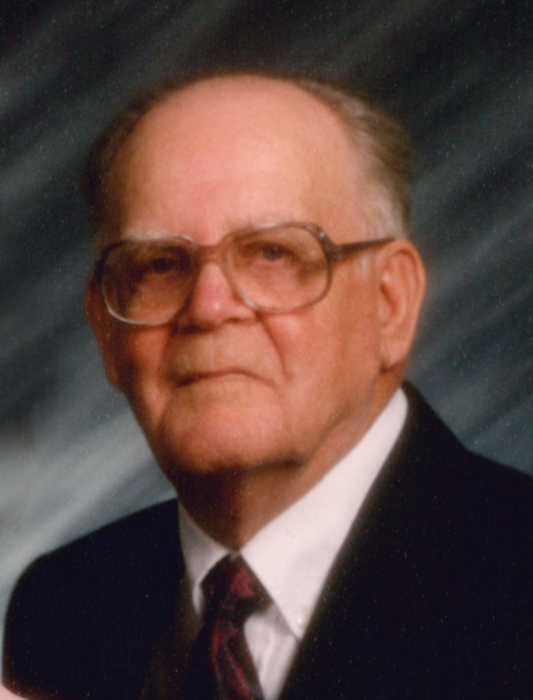 HAWARDEN, IOWA – Raymond W. Eilts, 100, of Hawarden, died on Tuesday, February 5, 2019 at Hillcrest Health Care Service in Hawarden. Funeral Service will be 10:30 a.m. Saturday, February 9, 2019 at the Trinity Lutheran Church, LCMS in Hawarden with Rev. Joshua Lowe officiating. Burial will follow in the Grace Hill Cemetery. Visitation will begin at noon Friday, February 8th, with the family present from 4:00 p.m. to 6:00 p.m. at the Porter Funeral Home in Hawarden. Condolences may be sent to www.porterfuneralhomes.com. The family asks that memorials be directed to the Trinity Lutheran Church in Hawarden. Raymond W. Eilts was born June 19, 1918 in Oakland, California, the son of John and Lizzie (Ramhorst) Eilts. He married Bernice Boisen on August 6, 1944 in Ireton, Iowa. The couple farmed near Ireton and Chatsworth, Iowa, later retiring to Hawarden, Iowa in 1995. Raymond also did carpentry work for others and enjoyed playing cards after he retired. Bernice passed away on January 6, 1999. They were members of the Trinity Lutheran Church in Hawarden. Raymond made his home at Hillcrest Health Care Service beginning in January of 2014. There he enjoyed visiting with the other residents, playing bingo, and having coffee with his visitors. He is survived by their 6 children, Gloria Unruh of Burke, Virginia; Bobby and Marialyce Eilts of Urbandale, Iowa; Richard and Vikki Eilts of Wakonda, South Dakota; Patsy Karr of Hawarden, Iowa; Mary and Kenny Van Wyhe of Ireton, Iowa; and John and Lynn Eilts of Hawarden, Iowa; 13 grandchildren, 5 step grandchildren, and 18 great-grandchildren. Raymond was preceded in death by his parents; his wife of 54 years, Bernice; 2 sons-in-law, Henry Unruh and Terry Karr; 2 grandsons, Ryan Christopher Eilts and Kenen Van Wyhe; 3 brothers and 3 sisters.